Being a Minneapolis Luxury Home Specialist, I have sold many properties these last few years where the homeowner was buying solely to have a second home, or wanted a condo on the Gulf Coast of Florida for their summer enjoyment. At the beginning of the year, I decided to go ahead and obtain my certification as a Resort and Second Home Property Specialist. After a couple months of education classes, including working online with buyers, training in 1031 exchanges, market demographics, etc, I finally became certified last week. 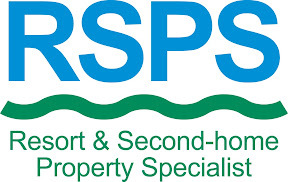 I am officially a Charter Member, a title bestowed upon the first 250 Realtors who become RSPS members in the nation. Currently there are only 158 of us out of 2 Million + Realtors nationwide, and I am only the 4th in Minnesota. Being licensed in Florida, Minnesota, and Wisconsin, I have the unique opportunity of providing clients the best of both worlds. Not only can Minnesotans have the warm weather get away when they are freezing, but my clients in Florida have a chance to own that cabin in the woods where they can curl up to a cozy fire. What ever you desire, now you can contact a specialist who has taken extensive education classes in order to represent you better. Maybe you can even take pity on this real estate agent and loan me your condo for a week?